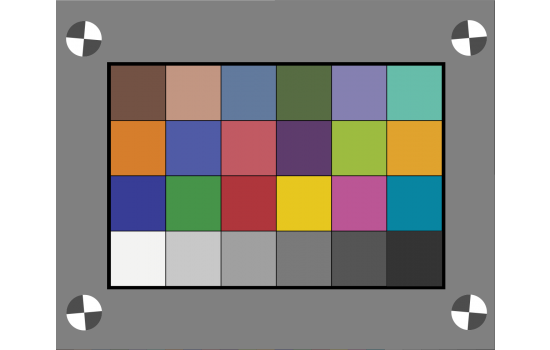 This 24-patch color target can be used for evaluating the color accuracy of imaging systems which require the use of a backlight. Standard sizing includes: Medium - 177.8 mm x 235 mm (7" x 9.25") and Small - 117.5 mm x 93.345 mm (4.625" x 3.675"). 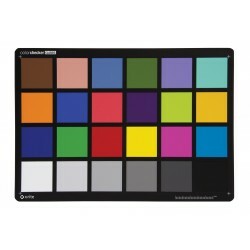 This 24-patch Transmissive Color target can be used for evaluating the color accuracy of imaging systems which require the use of a backlight. The standard sizes are 7" x 9.25" and 4.625" x 3.675". CIE L*a*b* reference files will be provided with each target and paired with the related serial number. We use high-precision Light-Valve Technology to print to our film in order to ensure accurate and precise color measurements. Customers using extremely small field of view systems will benefit from these exceptionally small and precise targets. Please contact us for custom sizing. 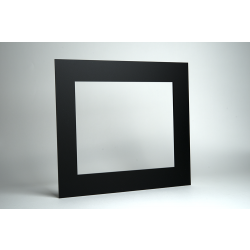 We can provide sizes anywhere from 0.35" x .5" to the full 7" x 9.25". DISCLAIMER: Please note that Color Film is not spectrally neutral. It is highly advised that you use a spectral measurement tool such as the i1 Basic Pro to measure your light source and consider that information when interpreting your results.